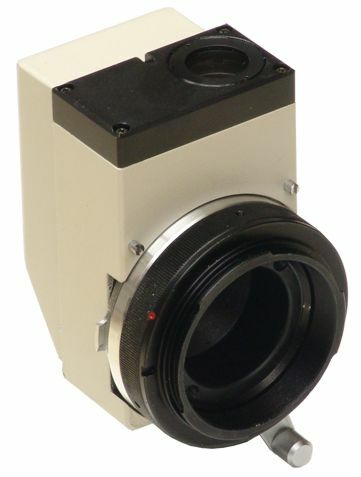 Includes digital camera adapter and electronic interface for joystick shutter control and Topcon flash synchronization. Includes installation instructions [2.7 MB PDF file] and technical support. 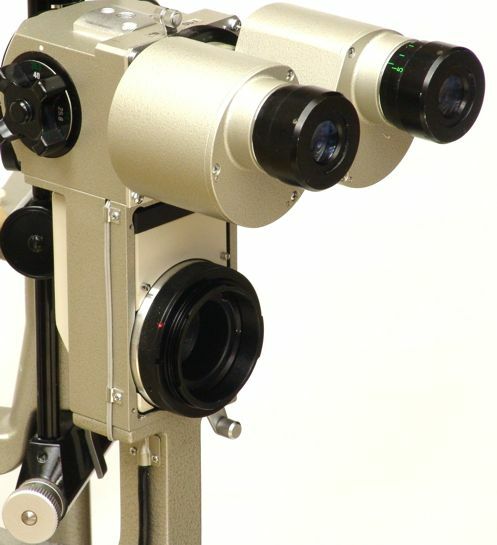 See also the original Topcon SL-5D Photo Slit Lamp Instruction Manual [12 MB PDF file, 46 pages]. 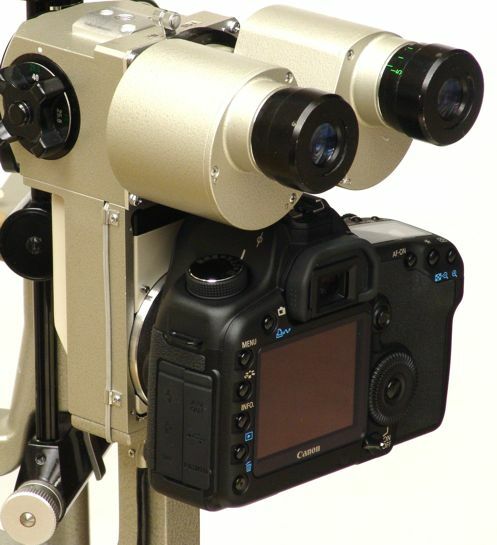 Topcon components required: Requires existing Topcon coupler block for Topcon film camera (see instructions above). 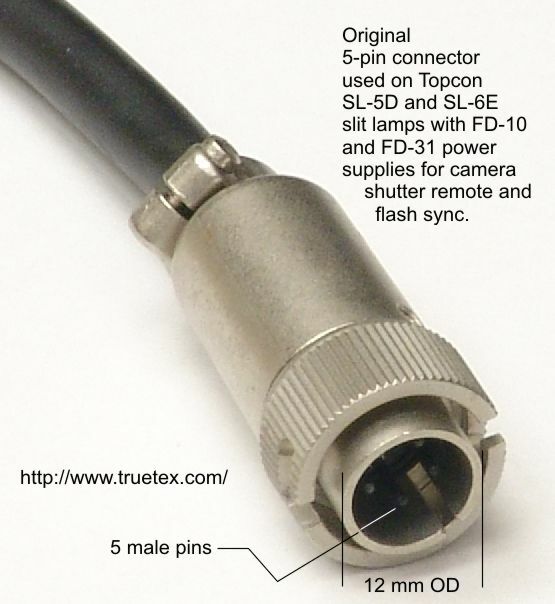 Requires existing 5-pin connector (see photo) from cord on Topcon film camera body for retrofit to electronic interface cable. Digital cameras supported: All Canon digital SLRs (models 300D/350D/400D/450D/10D/20D/30D/40D/50D/5D/5D Mark II/etc). All Nikon digital SLRs (specify Nikon model for remote interface). All Olympus digital SLRs (specify Four-Thirds mount). Other digital SLRs with T-mount adapters. 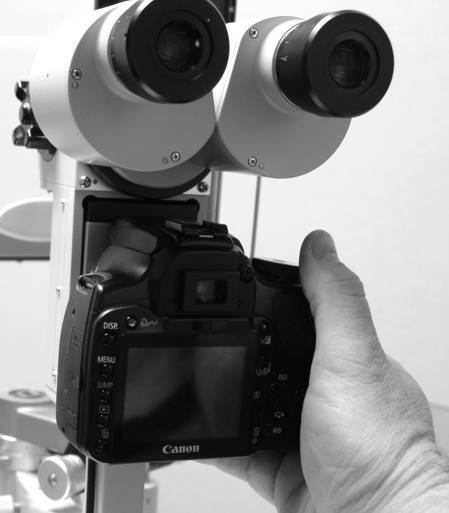 See installation instructions above for digital camera field of view diagrams. Ship date: In stock for immediate shipment.